Beyond Landscape at the Marin Community Foundation is the first of three exhibitions being organized and curated by ecoartspace in Northern California for one of the largest community foundations in the nation. The first exhibit which consists of over 160 works by over 60 artists who belong to the Women Environmental Artist Directory or WEAD opened on June 14th and had an opening reception on June 28th. 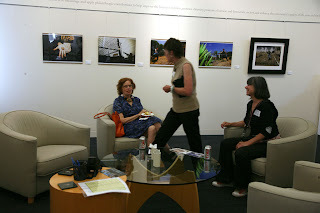 Artworks were selected through a national call on CaFE and were juried by Susan Leibovitz Steinman, Artist and co-founder of WEAD (Oakland, CA); Bonnie Sherk – Artist and Founder & Director of Life Frames, Inc. & A Living Library (San Francisco, CA); Gloria F. Orenstein – Professor of Comparative Literature and Gender Studies at USC (Los Angeles, CA); Randy Jayne Rosenberg – Executive Director and Chief Curator for Art Works for Change (Oakland, CA); and Patricia Watts – Founder/west coast curator of ecoartspace (CA). 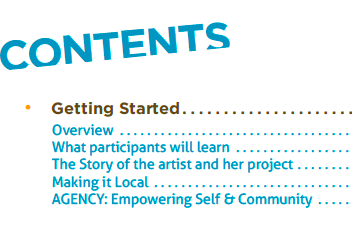 Since 1996 WEAD has focused on women’s unique perspectives to further understanding of ecological and social justice art. Run by a hands on activist board of arts professionals they published a print directory of artists from 1996-­‐2009, and since 1999, a networking website that includes a biannual critical arts magazine featuring essays by independent writers, curators, and artists. The directory currently has over 300 members. 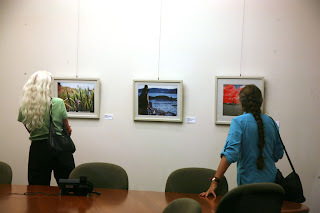 The Marin Community Foundation has exhibited art in its office space for nearly the entire 25 years of its existence and has an open floor plan, with large wall spaces and lighting system. The offices are located at 5 Hamilton Landing in a 28,000 sq. ft. former airplane hanger space at Hamilton Airfield in Novato, CA. Works are for sale to the public through WEAD and 85% of each sale will go to the artist. Next on the exhibition schedule is a water show that will open early October and run through January 2013. Beyond Landscape closes on September 28th.